Every family with Rugrats of their own knows the importance of Nickelodeon. With incredibly popular shows like SpongeBob SquarePants, Paw Patrol, and Henry Danger, it’s no wonder that families continue to pay for cable for the sake of their kid’s content. What if we told you there’s another way to get the same cable channels like Nickelodeon without an expensive cable contract? Streaming Nickelodeon shouldn’t cost you hundreds of dollars a month and, thankfully, it doesn’t have to. Streaming services have revolutionized the way we consume content and will allow you to continue watching Nickelodeon for a fraction of the price. We’ll outline the different streaming services that carry Nickelodeon like Philo TV for $16 a month and DirecTV Now for $40. Do I still need internet to watch Nickelodeon? Do I still need my cable box? Every streaming service this article will outline is 100% legal. These streaming services are similar to Netflix or Hulu, but feature live cable TV channels rather than on-demand content. They’re all non-contract services with a monthly billing cycle that can be cancelled at any time no questions asked. Imagine getting that with your cable company! While a bundle deal might save you money on a telephone line, internet is typically MUCH cheaper if you purchase it alone. Not only is is less expensive, it’s also usually a lot faster than you’d get in a bundled deal. Transparency is a huge issue in the cable industry and figuring out the best deal is painfully difficult. 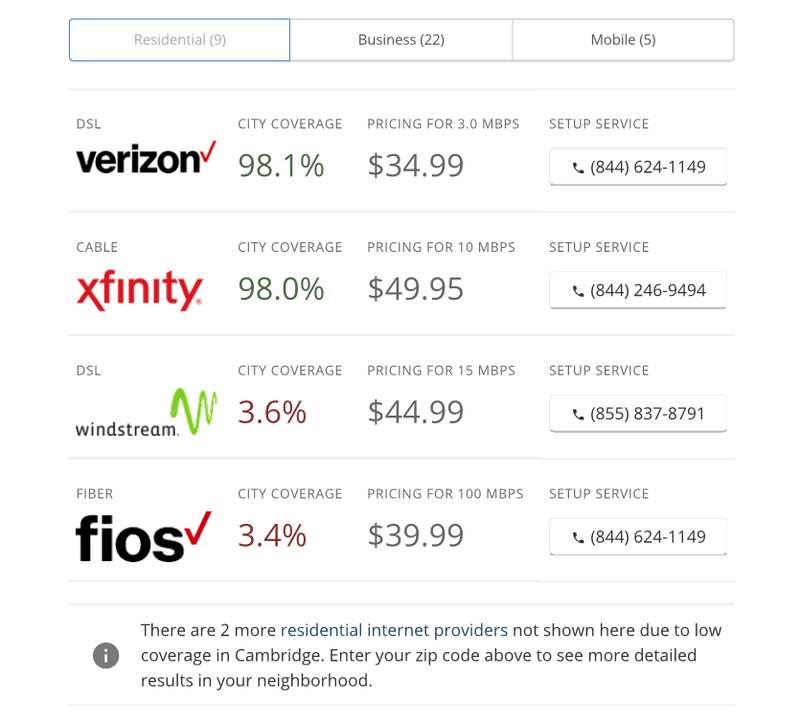 If you’d like to learn about some really cool tools to help make this process easy, we’ve written a guide on how to get internet without cable that outlines a few of them. If you break down your monthly cable bill, how much of it is for hardware? If your cable company charges $10 a month for a cable box that’s $120 a year that you won’t get back. Streaming services don’t have hardware rentals. If you plan to watch Philo TV or DirecTV Now on something other than your mobile device or computer you will need some hardware, but it’s significantly cheaper than a cable box rental. Streaming devices are made by outside companies and support a variety of different services. They plug into the back of your TV and allow you to run streaming service’s apps to watch your shows. They basically turn your TV into a Smart TV or make your Smart TV smarter. 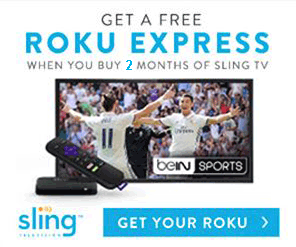 Watch Nickelodeon live on your TV with a Roku. Although powerful, these devices are surprisingly cheap. 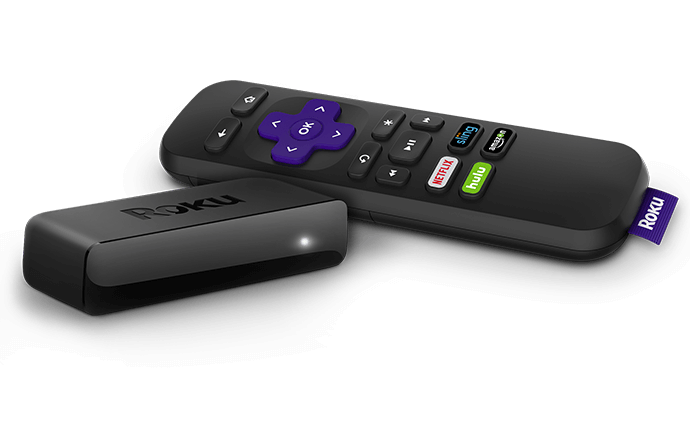 Compare our most recommended device, the Roku Express for $29.99, with a $10 cable box rental. In the first year alone you’d save over $90 which would pay for almost half a year of Philo TV! At the end of each service’s outline in this article we’ll make sure to list the different hardware that supports the service so you can shop around and find the best fit for you. Philo TV is hands down the cheapest way to watch Nickelodeon without cable. What started as a streaming service for college kids has quickly grown into a staple for cord cutters. For only $16 a month you’ll get Nickelodeon and 42 other popular cable channels including Nick Jr. and TeenNick. Although it carries three of the Nick channels, Philo TV isn’t just a service for the kids. You’ll also get A&E, HGTV, the Food Network, and plenty of others to watch when the kids go to bed. The image below shows the current channel lineup for Philo TV’s 43 Channel Package. Start streaming Nickelodeon on Philo TV for only $16 a month. If the 43 Channel package doesn’t quite suite your needs, Philo TV offers a slightly larger package that’ll give you 12 extra channels for only $4 more a month. The image below shows the added channels included in the bigger package. Philo TV is able to keep its cost so low by excluding sports and local new stations. Sports and local stations are expensive for streaming services to offer and Philo TV realizes that not everyone is interested in ESPN or ABC. Rather than reduce their channel lineup or increase the cost, Philo TV chose to exclude them and pass the savings on to its customers. Although missing out on local news and sports stations might be a deal breaker, don’t count Philo TV out quite yet. 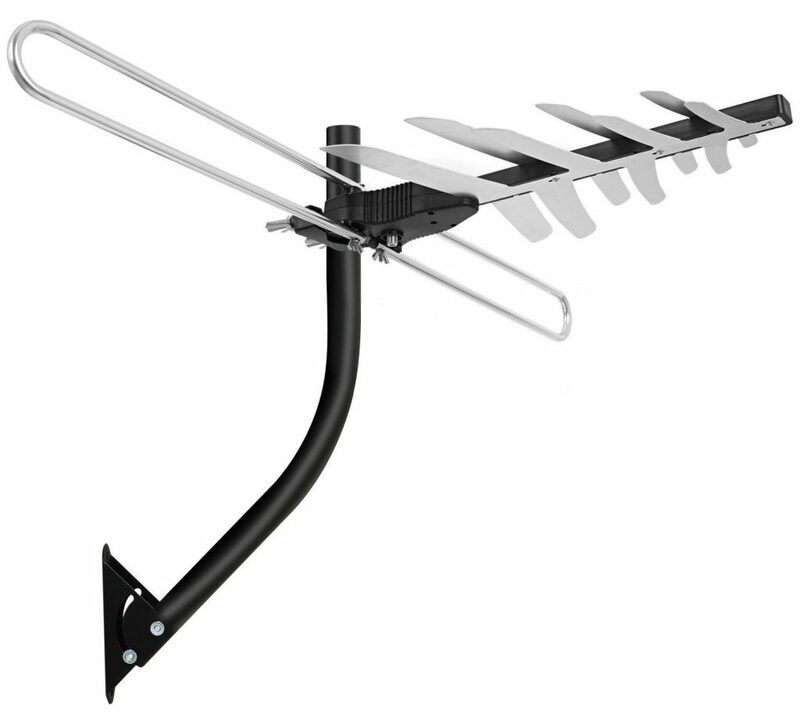 By not carrying local stations, Philo TV positions itself as a perfect compliment to an over the air antenna. A small household antenna might be able to pick up local stations near you that won’t cost you a dime. Since 2009, channels broadcast over the air have been improved immensely due to government requirements. Not only can households pick up an average of 50 stations with an antenna, the quality of these channels is fantastic. With an antenna, you can pick up a significant amount of local stations that Philo doesn’t carry for free. Although not every station is available everywhere, the it’s hard to beat the price of the ones you can pick up ($0!). You’ll have to pay a little for the antenna, but it doesn’t come close to the amount you’ll save by cutting cable. Check out our antenna guide if you’d like to learn how to see which channels are available at your location. One particularly nice thing about Philo TV is how easy it is to try out. Like most other streaming services, Philo offers a 7 day free trial. However, in order to start your trial with Philo you only have to provide your mobile number. Most other services require you to input your credit card (or other payment) information before you can start their trial. By only requiring your phone number, you can try Philo for the first 48 hours of your 7 day trial without having to worry about forgetting to cancel your subscription if it’s not quite what you’re looking for. If you’re looking for Nickelodeon in particular, you won’t do much better than Philo. If you’re looking for a little bit of a beefier package than Philo’s 43 or 55 channel packages, our next service, DirecTV Now, might be up your alley. DirecTV Now has one of the most confusing names in the streaming industry and warrants an explanation each time we describe the service. Although also owned by AT&T, DirecTV Now is totally different than DirecTV. DirecTV is a satellite cable service that requires a satellite dish and an expensive monthly contract. DirecTV Now is a streaming service that runs through your internet and streaming hardware similar to Netflix, Hulu, or Philo TV. For some reason they decided that adding “Now” to the end would help differentiate the services. It doesn’t. Now that that explanation is out of the way, we can continue with how awesome of a service DirecTV Now is. At $40 a month, DirecTV Now is slightly more expensive than Philo TV, but comes with larger packages that are incredibly dense with quality channels. The main difference between DirecTV Now’s channel lineup and Philo’s is that DirecTV Now does include local stations and sports. 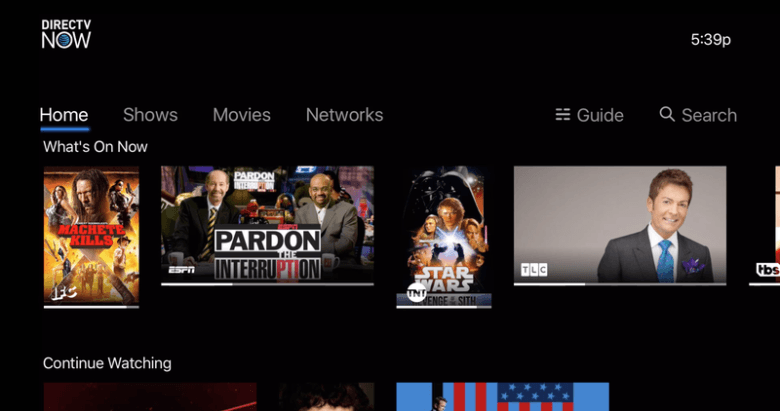 ABC, CBS, NBC, and FOX Sports are just a few of the channels that a lot of cable subscribers frequently watch that are offered by DirecTV Now and not Philo. The table below shows the current channel line up for DirecTV Now’s smallest package they call Live a Little. truTV SPIKE HLN CNBC MTV Nick Jr.
Keep in mind that this table shows the local stations we mentioned like ABC, but these stations are entirely location dependent. If you don’t live in a local networks service area, you won’t be able to get the channel even though you’re a DirecTV Now subscriber. The easiest way to check if specific local stations are available at your area is to visit the DirecTV Now website and put in your zipcode. DirecTV Now has been making a lot of changes and constantly improving their service. They recently announced a 20-hour limit DVR that’s included with your subscription which is 20 hours more than their previous DVR (they didn’t have one!). Now that you can record, fast forward, and rewind shows on DirecTV Now, our biggest prior complaint about the service has been eliminated. We also find ourselves frequently impressed with their channel lineup. Although a little more expensive than it was before, DirecTV Now still offers one of the best channels per dollar ratio available in the streaming industry. And even though they offer packages with up to 125 channels, the packages aren’t filled with as many junk channels that you’d expect. 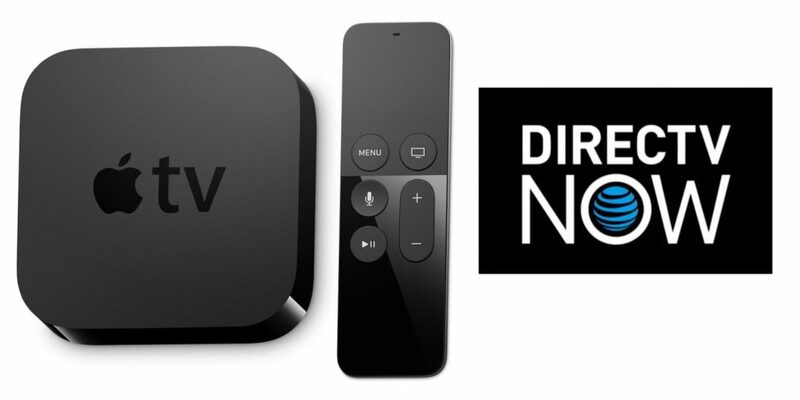 A large majority of their channels are highly requested and as a result, DirecTV Now is one of the most recommended services on our web application. It’s a fantastic service for someone who is used to having cable or has multiple people in the same household with a variety of different tastes. Even if you have an antenna or don’t plan on watching much sports or local stations, DirecTV Now’s channel line up makes it a great option for a lot of homes.